It is no weakness for the wisest man to learn when he is wrong. Sophocles (Greek: Σοφοκλῆς; 496 BC – 406 BC) was a Greek playwright, dramatist, priest, and politician of Classical Athens. He was also a general for the Athenian Empire in the Peloponnesian Wars, and during his service he led the battle against the Peloponnesian Island of Samos. When ice appears out of doors, and boys seize it up while it is solid, at first they experience new pleasures. But in the end their pride will not agree to let it go, but their acquisition is not good for them if it stays in their hands. In the same way an identical desire drives lovers to act and not to act. Achilles' Loves, only surviving fragment, often quoted as "Love is like ice in the hands of children". "How about your service of Aphrodite, Sophocles—is your natural force still unabated?" And he replied, 'Hush, man, most gladly have I escaped this thing you talk of, as if I had run away from a raging and savage beast of a master." Plato, Republic, 1.329c. Translated by Paul Shorey. The dice of Zeus fall ever luckily. No oath can be too binding for a lover. "A wise player ought to accept his throws and score them, not bewail his luck." Ah, son, may you prove luckier than your father, but in all else like him. Then you would not prove base. That lies within their hands, till they have lost it. I will never reveal my dreadful secrets, or rather, yours. Variant: Nay, I see that thou, on thy part, openest not thy lips in season: therefore I speak not, that neither may I have thy mishap. Variant: Nay, what should mortal fear, for whom the decrees of fortune are supreme and who hath clear foresight of nothing? 'Tis best to live at random, as one may. Line 1184, Second Messenger; one commonly quoted translation is, "The keenest sorrow is to recognize ourselves as the sole cause of all our adversities". Life, at his death, a memory without pain. Variant: Look upon him, O my Thebans, on your king, the child of fame! Lo to what a surge of sorrow and confusion hath he come! He pass the bound of mortal life, the goal of ordinance. 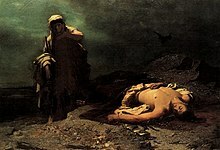 Variant: People of Thebes, my countrymen, look on Oedipus. he rose to power, a man beyond all power. Who could behold his greatness without envy? Now what a black sea of terror has overwhelmed him. Think not that your word and yours alone must be right. The bray of bragging tongues. Line 277; cf. "Don’t shoot the messenger." Variant translation: There are many wonderful things, and nothing is more wonderful than man. To bring death to a friend. He's fit for public authority. The reasonable thing is to learn from those who can teach. πεσὼν ἀκῆται μηδ᾽ ἀκίνητος πέλῃ. All men are liable to err. into which he has fallen and does not remain stubborn. They are not wise, then, who stand forth to buffet against Love; for Love rules the gods as he will, and me. Not to be born is, beyond all estimation, best; but when a man has seen the light of day, this is next best by far, that with utmost speed he should go back from where he came. It is better not to live at all than to live disgraced. War loves to seek its victims in the young. If it were possible to heal sorrow by weeping and to raise the dead with tears, gold were less prized than grief. If I am Sophocles, I am not mad; and if I am mad, I am not Sophocles. Vit. Anon, page 64 (Plumptre's Trans. ).